Most parents experience little trouble with their children until their beloved offspring reaches the age of two. As you may have already learned firsthand, they don't call them the "terrible two's" for no reason. 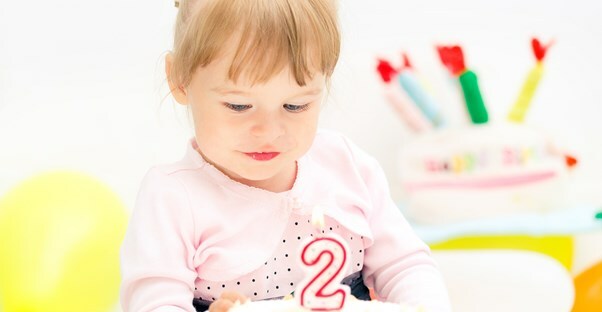 Dealing with the terrible two's can be frustrating, but you can make it easier by considering the tips listed below. The best way to deal with the terrible two's is by taking steps to minimize it as much as possible. While it will take effort, it'll be worth it when the frequency of 2-year old meltdowns decreases. Make your home as kid-friendly as possible. 2-year olds are curious and likely to throw a fit when told “no”. Therefore, you should hide breakables and valuables from your child, so there's no chance he or she will try to play with them. Keep your child occupied. Always make sure there are plenty of activities for him or her to do and interact with. When toddlers are bored, they’re more likely to investigate things you want them to stay out of. Let your child have his or her own place to store and play with their toys, as well. Empower your child. You can do this by giving your child more choices and freedom. Sometimes, all it takes is phrasing your words differently. Instead of saying, "You need to change your clothes now," you should say, "Do you want to wear the blue shirt or the red shirt?" 2-year olds want to explore independence, and as a parent you should encourage the behavior in a positive way. When it comes to dealing with temper tantrums, you need to stay calm. If you have to, take a few deep breaths and start counting to ten. Keep in mind that if you can't control yourself, then you won’t be able to manage your child, and you’re child won’t learn self-control from your example. Unfortunately, sometimes there's not much you can do to prevent a meltdown.. If your child is having a tantrum, try to distract him or her. You could also try redirecting his or her energy elsewhere, preferably to a more productive and peaceful task. In some cases, there's not much you can do to handle a tantrum besides staying calm and waiting it out. If he or she tends to become more upset when throwing a tantrum, trying hugging your child until he or she has calmed down. Don't make things worse by yelling at your child or getting angry. Dealing with the terrible two's isn’t easy, even if you have plenty of experience as a parent. However, if you take this advice into account, you and your child will both be happier throughout this growing stage. Toddlers and Potty Training: When Are They Ready?